This is Warri Dictionary which is translated by Naosusucare the platform by which the blog operates. We have taken out time to bring you some of the most used Warri Pidgin English terms and have translated their meaning to give you an insight into what it feels like to be a Warri born or bred. Warri Pidgin English is unique when spoken as compared to other parts of the country because Warri Pidgin English is more complex to understand but very interesting when it is listened by others because of slangs are used to garnish Warri pidgin. The slangs make Warri pidgin captivating and also difficult for people to understand who do not live in Warri or have not stayed in the city. Here in this article, we have brought out some of the slangs that are popularly used when speaking the original Warri pidgin English. 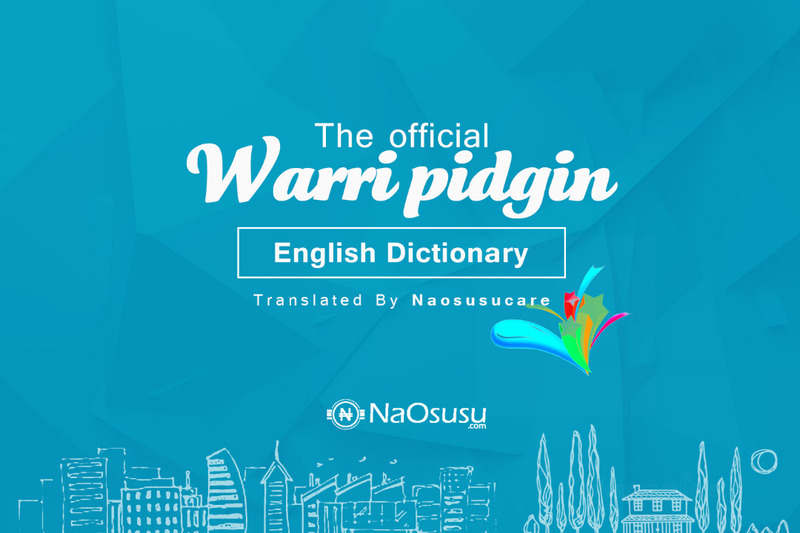 Warri pidgin English is the best and most widely spoken in Nigeria and Warri pidgin English has become the standard for speaking pidgin because it is believed that Warri City determines the slangs that should use when speaking per time. Warri exports her unique pidgin English brand to the rest of Nigeria and presently most comedians want to start talking like Waffarians because Warri pidgin English is so infectious that everyone just falls in love with Warri pidgin. Thanks for some other informative web site. Where else may I get that kind of information written in such an ideal way? I’ve a venture that I am simply now operating on, and I have been on the glance out for such info.